With so many forests and mountains around Park City, it's no wonder that people come from all over to spend a few days pheasant hunting or tracking that elusive big game trophy. LTO is an expert in wild game hunting in Utah, New Mexico, Nevada and Arizona. All skill levels welcome. Specializing in trophy hunts, Mossback boasts a number of record breaking elk. Repeat customers are attracted to Park City Outfitters for their guided hunts, fly fishing packages and conveniently located condominium accommodations. Whether you need some new flies, or you're new to fly fishing and need a guide, Trout Bum 2 can help you find what you need. The common big game in the area are elk, mule deer and moose. Other available species include: antelope, cougar, bear, bighorn sheep, and goat. Pheasant, grouse and duck hunting is popular in the uplands. Three National Forests provide millions of acres of land to explore. Private lands offer unique opportunities to hunt in otherwise restricted areas. Between the popular ski season and the warm summer months comes the time to wear orange: hunting season. From August to December, Park City visitors and locals alike will be found in the national forests and private lands, enjoying the great outdoors. There are quite a few outfitting companies who will help arrange the experience, generally lasting from three to seven days in length. Accommodations can vary from tents to cabins, but the end goal is still the same. 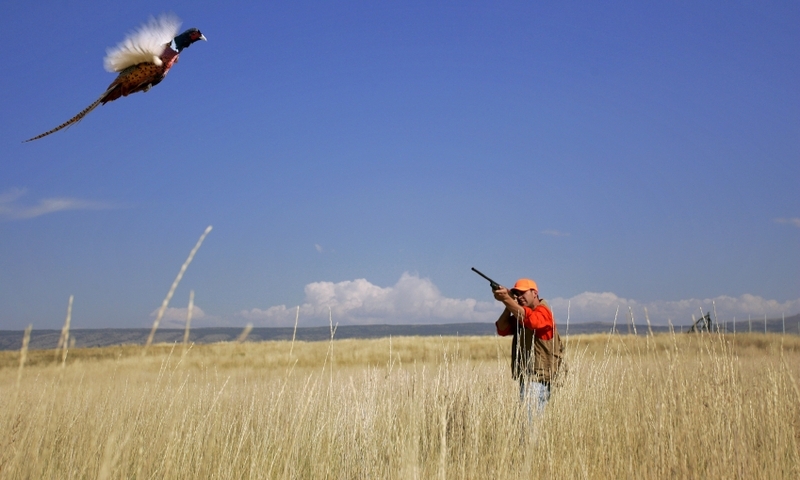 In the area around Ogden, hunters primarily search for pheasant, grouse and duck. Waterfowl are plentiful in this area, with the first week of hunting season yielding particularly good chances of finding birds. Hunters normally head to the Flaming Gorge National Recreation Area that stretches into the southwest corner of Wyoming. This area has abundant mule deer and elk, with permits and tags being readily available. Other animals, such as moose, antelope and cougars, are also present, but tags can be difficult to obtain. These two forests span a huge amount of land and are available to public hunting, primarily for elk and mule deer, though other species are available as well. Specific management units carry individual restrictions, so be sure to contact the local park office to be certain of the local rules. Many private lands receive guaranteed landowner tags from the Utah Wildlife Division, which they often sell to customers. Arranging a trip on private lands means not having to worry about the lottery system or competing with other hunters in the same area. The ranches often have accommodations deep in the prime territory that can be as simple as a tent, a trailer, or even a fully-outfitted cabin to keep warm during the early winter months. Whether you're looking for a rut deer hunt, some early archery hunting, or just some time in the outdoors, the guiding companies below will arrange your trip, taking care of all the amenities so you can focus on enjoying the hunt.